Happy holidays from me & Princess Sparkle! 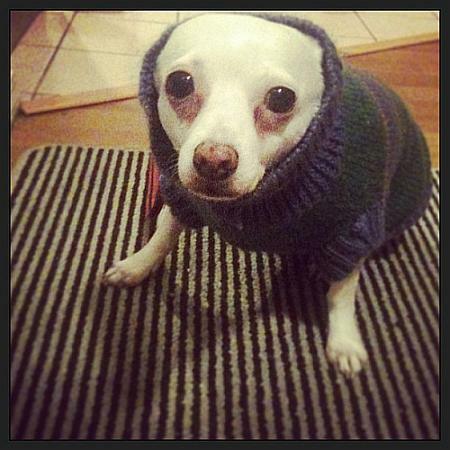 She was none too impressed with her festive holiday sweater, despite its warming properties. I hope you’re staying warm & cozy yourself!